Property prices rose by more than 14% in both Battersea and Brixton in the 12 months to February, according to the latest official data. This compares with a value rise of 13.5% in London as a whole, where the Land Registry reports the average price of a home in February was £530,368. 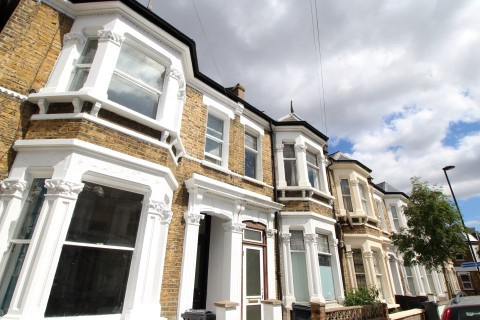 This has been put down to a growth in house prices in outer London, where values rose 17.1% in Hillingdon, 16.9% in Havering and 16.3% in Lewisham. Meanwhile, sold prices in England and Wales rose by 6.1% annually taking the average price to £190,275. On a monthly basis, house prices in England and Wales were down 0.2%, according to the Land Registry's February 2016 House Price Index. The only other region where property values achieved double-digit rises was south-east England. In the year to February sold prices went up 10.9% to take the average value of a home in this part of the country to £267,235. The east of England was not far behind, with price rises of 9.8% over the year and an average property price of £220,188. There are now more property millionaires, with a 2% rise in the number of homes in England and Wales selling for more than £1m. The number is up from 1052 in February 2015 to 1077 a year later. The Land Registry data, which is based on completed transactions, also reveals that the number of repossessions fell by 50%, from 706 to 356, in the year to December 2015. In London, there was a drop of 67% in the number of repossession sales.